The Hezbollah movement in Iraq warned that the US deployment of its marines in the country is meant to help the ISIL terrorist group. According to al-Mayadeen news channel, the Hezbollah battalions underlined that the US has sent its forces to Iraq to further assist the ISIL, stressing its resistance against Washington’s occupation of the regional states. The US announced on Sunday it will put more troops on the ground in Iraq after a marine was killed in an ISIL rocket barrage. 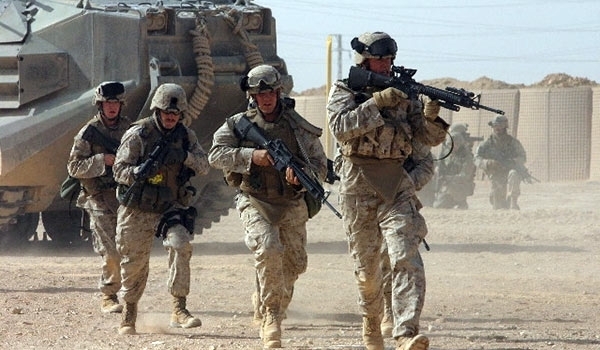 Troops from the 26th Marine Expeditionary Unit will add to American forces, the Pentagon said, despite the Iraqi government’s emphasis that it doesn’t need foreign forces to fight against the terrorists. It was unclear exactly how many marines would be deployed, but the move was made to bolster security at a coalition base near Makhmur in Northern Iraq.